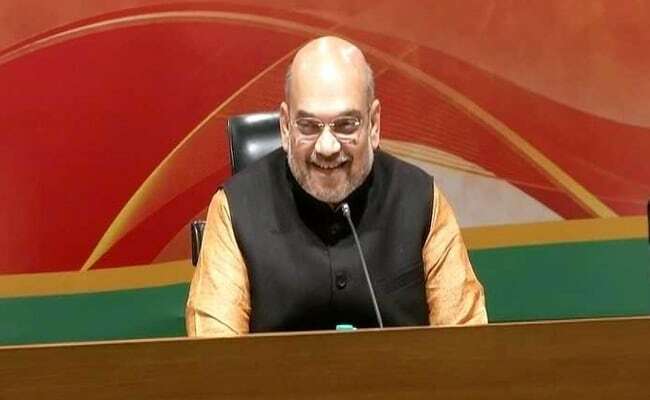 When asked if Amit Shah's assurance to a poll-bound state, especially when a central Tribunal was likely to deliver its verdict soon, was fair, Vinay Tendulkar said "you should ask him"
Amit Shah has assured people in Karnataka that the BJP would resolve the Mahadayi waters dispute. Panaji: Bharatiya Janata Party (BJP) National President Amit Shah will resolve the Mahadayi water dispute, Goa BJP President Vinay Tendulkar said today. "He must be having a solution. He will find a way...," Mr Tendulkar said when asked to respond to a statement by Amit Shah in Karnataka last week where he had assured people that the BJP would resolve the long-standing inter-state dispute. But when asked if Mr Shah's assurance to a poll-bound state, especially when a central Tribunal was likely to deliver its verdict soon, was fair, Mr Tendulkar said "you should ask him". Goa, Karnataka and Maharashtra are currently involved in a dispute in the Tribunal over controversial Kalasa-Banduri project across Mahadayi river through which Karnataka aims to divert water to nearby basin on the Malaprabha river. The Tribunal is expected to deliver a verdict in few months. Mahadayi, also known as the Mandovi river, is considered as a lifeline in the northern parts of the coastal state. It originates in Karnataka and meets the Arabian Sea in Goa, while briefly flowing through Maharashtra. The river course is 28.8 km in Karnataka, and over 50 km in Goa. After a meeting with Mr Shah in December 2017, Goa Chief Minister Manohar Parrikar in a letter to Karnataka BJP president BS Yeddyurappa, had offered to discuss sharing of drinking water with Karnataka on humanitarian grounds. The letter evoked sharp criticism from his own cabinet colleagues as well as the opposition and civil society groups who accused the Goa Chief Minister of selling out on the state's natural resources only to help the BJP ahead of the Karnataka Assembly polls.